If you're looking for bulk print services, plus photo printing, personalised calendars and even printed T-shirts, see Copy Centre. If you're looking for professional print and design services, for example promotional flyers, posters and bespoke merchandising, see Print Essex. We provide printing services for staff and students. 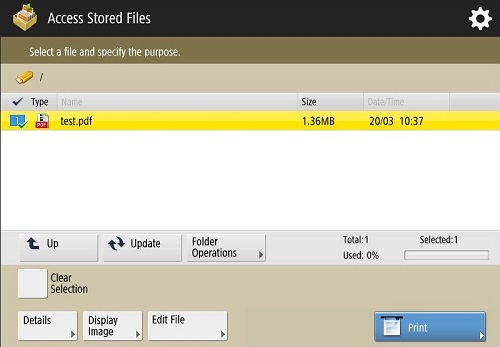 All Canon MFDs are capable of colour printing. 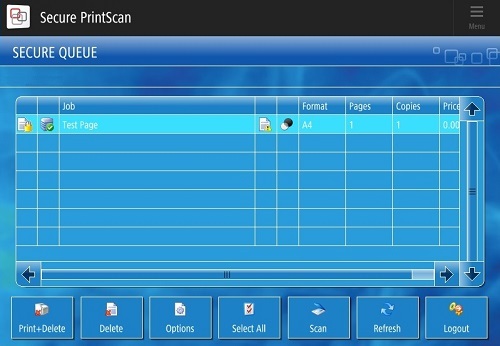 When you print from a student PC your print job will be held in a secure queue for 8 hours. Print jobs can be released from any Canon MFD across our three Campuses. 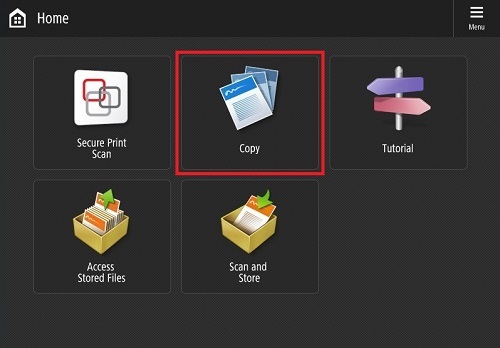 Any attachment that you send from your Essex email account to mobileprinting@essex.ac.uk will be converted to a PDF and added to your secure print queue for 8 hours (students) or 48 hours (staff). Print jobs can be released from any Canon MFD across our three Campuses. 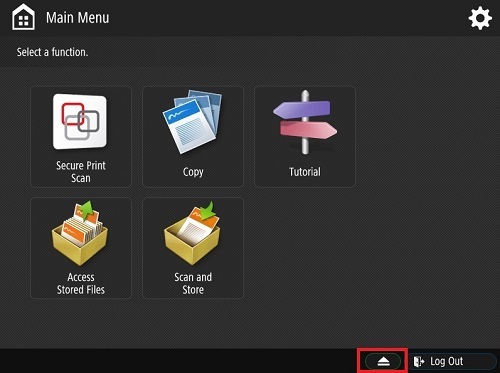 When you print from a PC your print job will be held in a secure queue and can be released from any Canon MFD across our three Campuses. 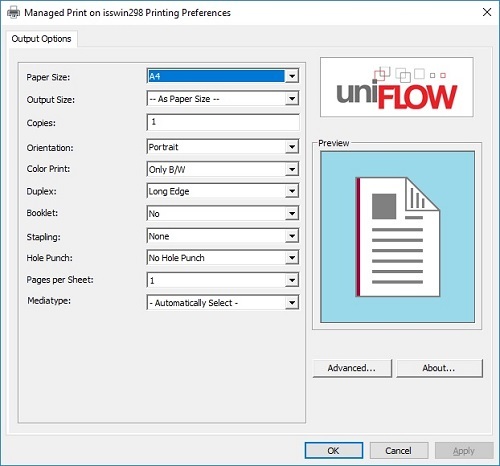 Select Options to view additional print options for the selected print job(s), such as Duplex, Colour Mode, Stapling, Copies and Page Range. When you print from a staff PC your print job will be held in a secure queue for 48 hours. Print jobs can be released from any Canon MFD across our three Campuses. 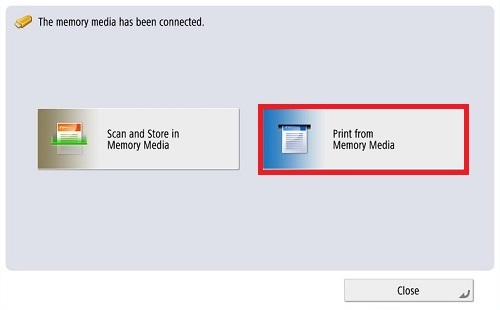 Drivers are required to print from a Mac over the wired network. 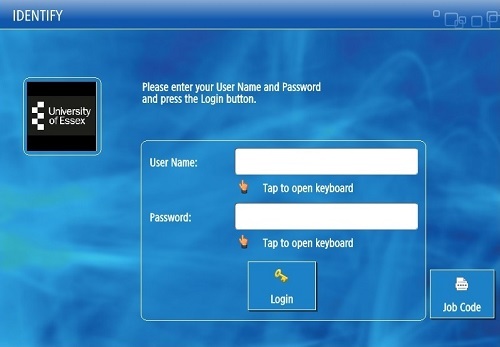 Download the driver and follow the setup instructions included. If there's a problem with the printer or if it's out of paper, contact the IT Helpdesk and reference the MPCS number that can be found on a silver sticker on the front of the device. Printing for students is now free! Please be sensible about how much you print and think of your carbon footprint. Usage is monitored and subject to a fair use policy. If you exceed a fair usage, your account may be suspended and you will not be able to print using University printers. We have analysed the average number of pages printed per year in 2017-18 and these figures were, Undergraduates (177), Post Graduate Taught (340) and Post Graduates Research students (480). Printing less than this is considered "fair use". 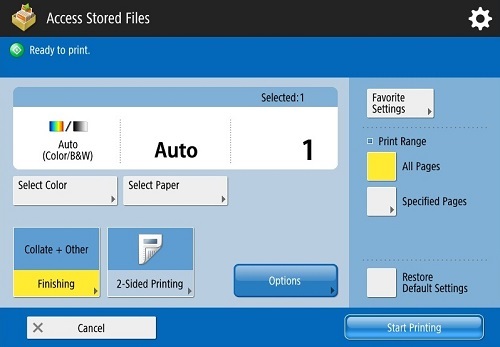 Do you need to print your document in colour? Colour printing uses significantly higher volumes of toner compared to black and white and can cost the University almost 10 times more. Please print colour only where necessary and not merely reduce wastage and cost, but also reduce our carbon footprint. 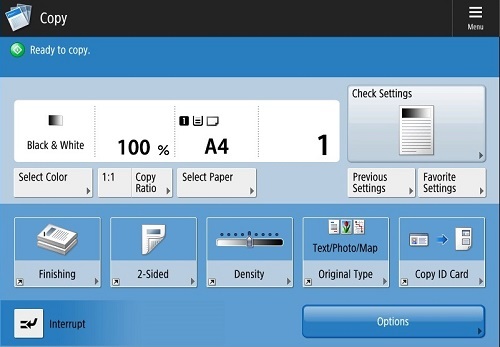 If you do need to print or copy in colour, please use the Automatic colour option, which will only use colour toner for pages that feature colour. 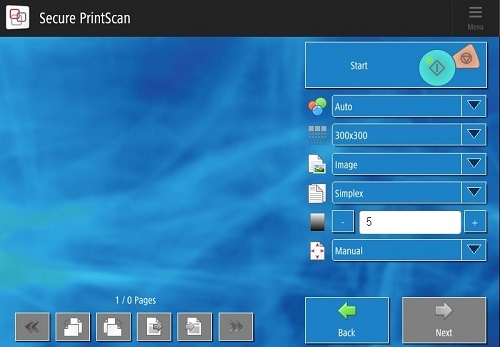 Our new and improved manged print copy scan service has included the introduction of a number of energy-saving initiatives such as setting double sided and black and white printing as default, secure print release, and scan options at every device. If you consider that 500 sheets of paper equates to 6% of a tree, actions like these will not only reduce wastage, but will also reduce our carbon footprint too. Please think how you might be able to reduce the amount of printing and copying you do, so that you can help with our Green Impact. Any unused credit left in your old printing account that you have paid for yourself, will be refunded. You will not receive a refund for any unused credit that has been paid in by other means, for example by your Department. To recieve a refund for any outstanding print credit please visit myEssex student portal where you will be notified of any eligable refund amount and asked to verify or update your bank details for processing the refund. 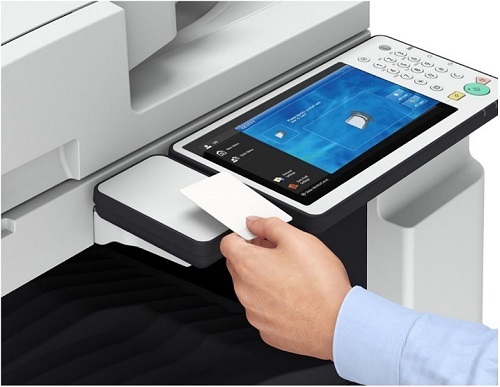 We provide photocopying services for staff and students. All Canon MFDs are capable of colour photocopying. 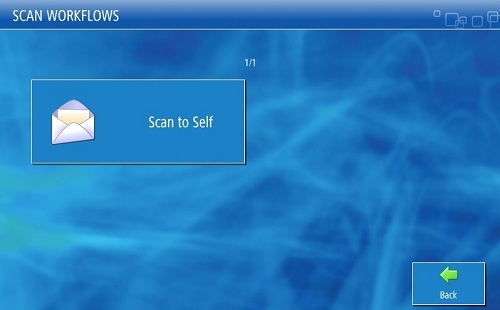 We provide scanning services for staff and students. 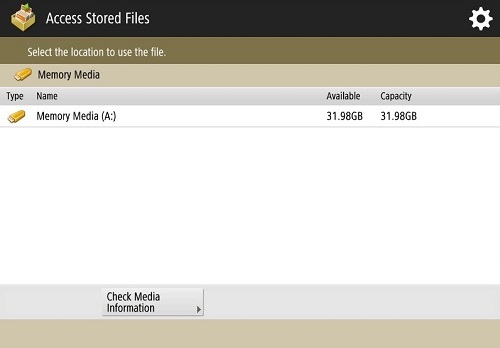 All Canon MFDs are capable of colour scanning. 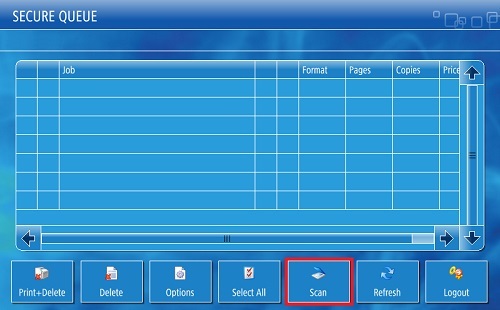 To send a scan to another email addres, first scan to your Essex email address using the instructions above and then Forward the received email to the address you wish to send the scan to. Printing has become easier and more secure as part of our new centrally managed printing services – which launched in student areas in March, and staff areas from April. Find out more. How do I print from a docked Windows laptop or Mac? 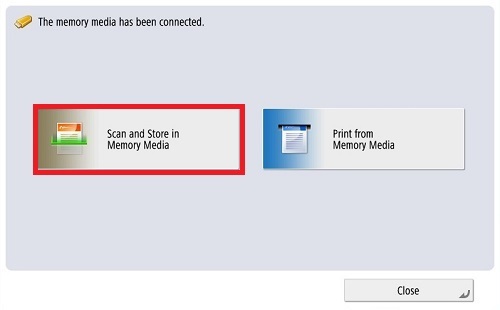 Drivers are required to print over the wired network. What happens if I don’t have or can’t find my staff card? What happens if there is an error while I’m printing? What is the deployment schedule? What are the specifications of the new Canon Devices?